Please take time to read the article in the link below. Around 100 Pacific pink salmon are believed to have been caught off the North East and Yorkshire coasts in recent months. One of the non-native pink salmon was caught in the River Tyne at Wylam in Northumberland last week. Last month we reported how a pink salmon had been netted off South Shields, with the Environment Agency appealing for netsmen and anglers to report any catches. Now, the agency is renewing its plea in the light of the number of pink salmon which are arriving off the region. It is collecting data about sightings so officers can monitor the situation to determine any impact on the local environment and species. The information will help the Environment Agency, fisheries researchers and other organisations with an interest in fisheries management in Britain, Ireland and Scandinavia, better understand how to manage the arrival of pink salmon in the UK . Jon Shelley, Newcastle-based Environment Agency fisheries programme manager, said: “It is quite unusual to find pink salmon in our waters and we’re keen anglers know we’re aware of the sightings and we’re investigating. “I’d urge anglers to contact us if they see any non-native salmon in the waters, with a date, location and if possible a photograph, which would really help us identify them and build up a picture of where they are. Anglers holding a salmon licence who catch pink salmon are asked not to return the fish to the water. Instead they are asked to dispatch of them humanely and, if possible, make the fish available to the Environment Agency for inspection and further analysis. If this is not possible, they are asked to send a sample of the scales. Pink salmon, also known as humpback salmon, originate from the northern Pacific Ocean. 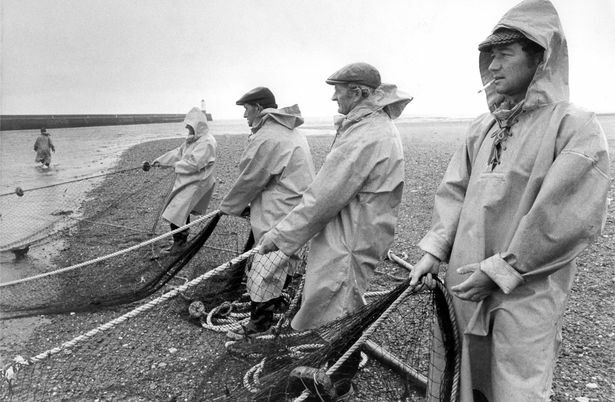 Millions were stocked in the White Sea region of north Russia from the 1950s until 2003 in a bid to develop a net fishery. Russia, Finland and northern Norway are the most likely origins of the pink salmon recently caught in the UK and Ireland. Anyone with information is asked to contact the North East environmental monitoring team on 0800 807060 or email jonathan.shelley@environment-agency.gov.uk.